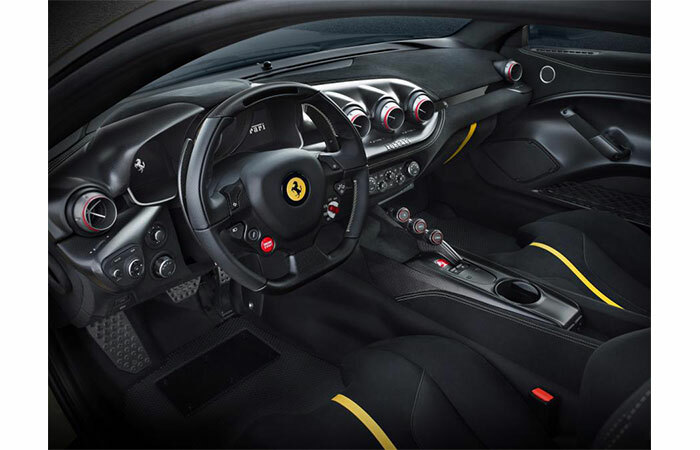 The newest Ferrari is based on the F12 Berlinetta and is named the F12 TdF (Tour de France) in honor of the legendary 250 GT that dominated that race in the fifties and sixties. Although the F12 TdF is based on the Berlinetta, as you can see in the pictures, the body of the car got a major overhaul. The changes aren’t just cosmetic of course, and the use of lighter materials has produced a car that is 240 pounds lighter than its predecessor. 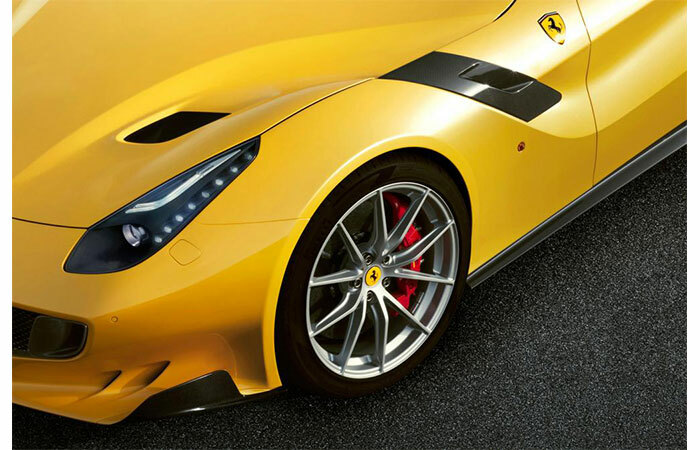 The design is also aerodynamically efficient meaning that the F12 TdF produces 87% more downforce than the Berlinetta. Ferrari improved the powertrain as well. 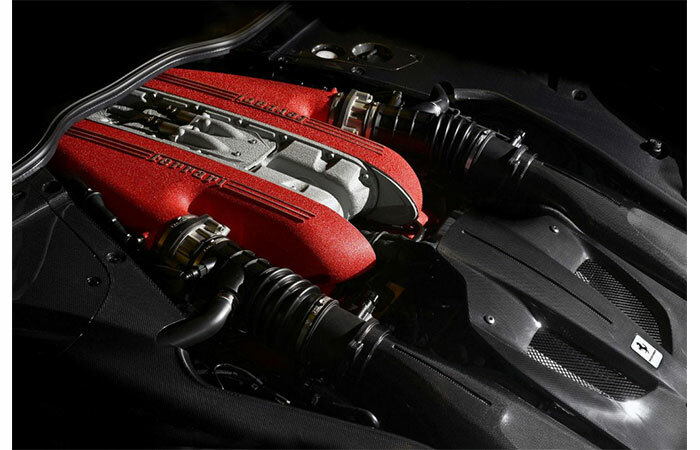 The 6.3 liter V12 engine of the stock F12 was tuned giving it 769 hp (instead of 730 hp) and an increased torque of 520 pound-feet (instead of 509 pound-feet). The transmission system is a seven speed, dual clutch system that upshifts 30% faster and downshifts 40% faster than the stock Berlinetta’s. 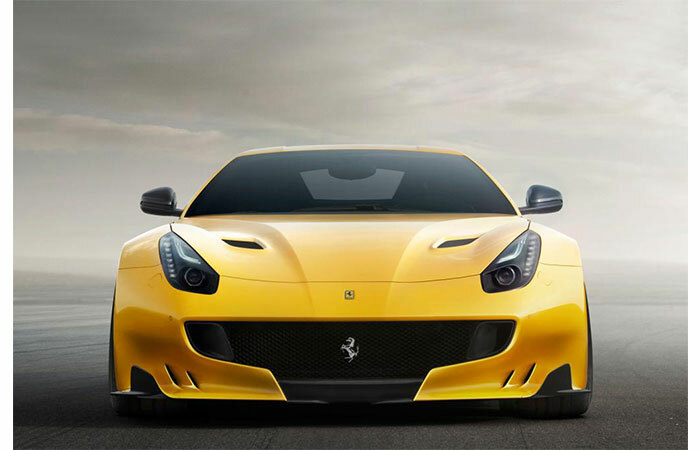 The F12 TdF is also outfitted with a four-wheel steering system that increases stability and allows sharper turns, making even the inexperienced driver feel like a pro. All of these improvements make the F12 TdF a very fast machine. The 0-62mph time is 2.9 seconds and the 0-124mph time is just 7.9 seconds. The top speed is 211mph. Testing the F12 in Maranello at the Ferrari test track has shown that it is a whole 2 seconds faster than the Berlinetta, and just 1 second slower than the LaFerrari, the fastest road car ever tested there. So if you’re tired of your stock, “plain Jane” Berlinetta and need a faster, flashier or just a newer “Prancing Pony”, the Ferrari F12 TdF is the solution to your woes. But you’ll have to be not only rich ( the cost is approximately 320,000$), but also very well connected because only 799 F12 TdFs will be made.